What is marketing automation primarily used for? A combination of web-based tools and services are utilized to automate and manage marketing processes and tasks. So, all the repetitive, manual activities turn into automated processes. This includes actions related to website management, social media, emails, and others. A variety of purpose-built applications, software, and tools are incorporated to attain accuracy and effectiveness. With insightful tracking codes, marketers can monitor how customers behave online. The patterns are identified and analyzed, which helps in creating behavior-based groups. Marketers can conveniently divide their market into various behavior-based segments. Marketing automation is also used for business development. The customers move from one phase to another until they reach the level of purchase. This process involves segmentation and nourishment of different segments depending on qualifying leads, interests, intent and other behavioral patterns. The automated approach relies on social media, email, content marketing and search engine optimization. 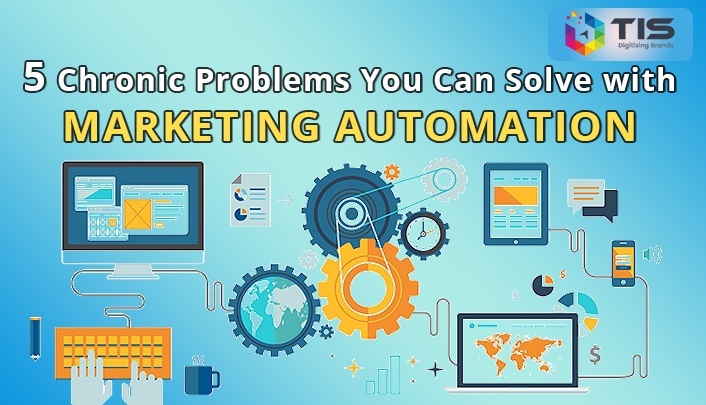 Marketing automation also improves the internal processes such as budgeting, managing digital assets, preparing a marketing calendar, and a lot more. Automation in marketing is extremely important for large organizations with complex requirements. Marketing theory says that ideally, a potential customer turns into a customer after getting an interest. But the ground level reality completely different. There are consumers who look for in-depth information and education before making a decision. Consumer requirements are easily deliverable with the help of marketing automation. Marketers can nurture consumers on multiple channels and smoothly increase the rate of conversions. A variety of relevant marketing automation tools are available out there to help in the process of customer nurturing. In the world of marketing, time is everything. Marketing automation allows organizations to leverage time and reduce inefficiencies. This includes all the time required to create, schedule and send emails and other communication models. Marketing automation reduces the time required and increases the efficiency in terms of hottest leads. The efforts become result-oriented, making every marketing strategy a success for organizations. Using marketing automation allows organizations to think beyond traditional marketing. It creates a perfect environment to engage all customers. Low engagement with customers harms the brand loyalty. Every business requires customer service, account management and other ways to provide personalized engagement. Customers are available on many channels such as emails, social media, mobile, and others. Reaching them on all the channels is key to becoming memorable. At the same time, companies can judge preferred communication models for different customer groups. It helps in covering a wide range of marketing automation challenges. Using best-suited marketing automation tools, a company can enhance the impact of web intelligence, SMS messaging, subscription management, social marketing and a lot more. It all reduces the number of unengaged customers to a great extent. Thanks to the technology, marketing, and sales strategies can align together nowadays. For instance, marketing automation combined with CRM solutions creates a great alignment between marketing and sales departments. Each team can gain accurate data using the right tools, which syncs marketing and sales activities with each other. Using the same technologies, the two departments can collaborate efficiently and run campaigns together. This ensures that every prospect sees a clear and targeted message at the right time. This increases the chances of attention and conversion as well. Usually, before moving forward with marketing automation, companies utilize email marketing. Various platforms provide statistics related to click through rate and more. These basic statistics help in judging the performance of an email campaign. However, these statistics fail to provide knowledge of the comprehensive health of marketing initiatives. Marketing team can’t understand if the efforts are impacting company’s revenue as desired. With marketing automation, companies can easily track customers and prospects at every step of their buying cycle. It provides a bird-eye view of the marketing strategy and its impact on company revenue. Divide deployment in multiple stages to ensure accuracy at every stage. Aim to engage customers in a comprehensive manner using the right automation tools. Understand the skills in terms of market and technical knowledge. Ensure complete documentation of each and every automated effort. Review regularly to modify your approach in future. Partner with reliable marketing automation companies in India to follow best practices, gain support and increase marketing ROI. Ready to get the benefits of marketing automation?! There is a huge list of marketing automation benefits you can expect with successful adoption. It improves customer engagement, number of opportunities, on-time communications, diversity of communication models, and a lot more.It would not be wrong to say that marketing automation is a business transformative technology. You spend lower cost to obtain more qualified leads. Customer relationship improves, which increases the percentage of customer retention. Sales and marketing departments can align together for collaboration and high revenue. Marketing ROI reaches a whole new level of excellence. All in all, there are both direct and indirect benefits to utilize through marketing automation. Smart organizations are partnering with trustworthy platforms to transform their marketing approach. You should also move ahead and adopt marketing automation for qualified leads, rewarding customer loyalty, and increased revenue.